Advertiser.ie - Steve Bennett - Everything is @&*$ed! Steve Bennett. Everything may be @&*$ed! but at least we can get a laugh on the way to oblivion. TRUMP, BREXIT, the DUP, the rise of the far-right, the homeless crisis, the Syrian civil war, climate change - the world really is in a bad state right now. No wonder comedian Steve Bennett is declaring: "Everything is F***ed”. 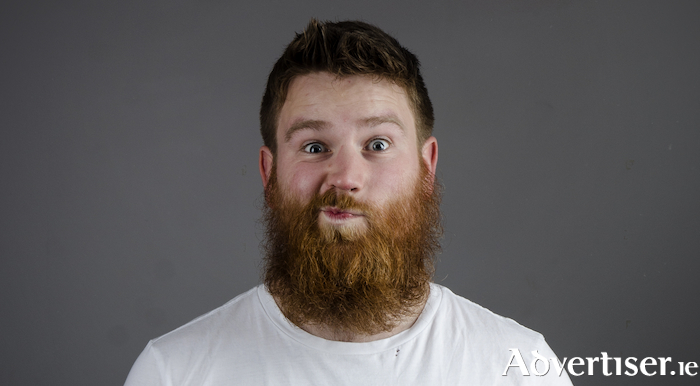 Irish Comedian of the Year 2016 Steve Bennett is the happiest man on the planet, but the Bearded Wonder's sunny disposition has been worn down by the state of the world. Steve performs Everything is F***ed at the Róisín Dubh on Friday November 23 at 8pm, taking the audience through the scariest bits of modern living, and finding ways to cope with it all through songs, poems, and razor-sharp stand-up from one of Ireland's finest comedic talents. As Chortle.co.uk said of him, "a feelgood experience is guaranteed".